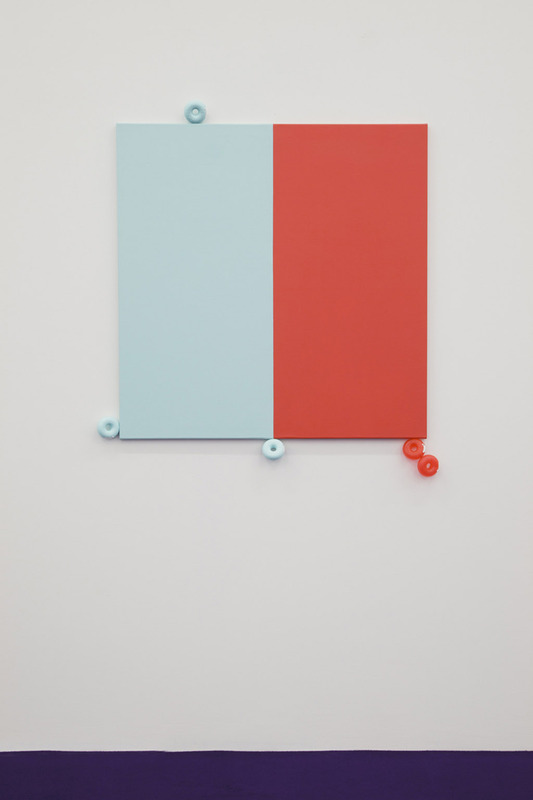 Work from “Namenloses Grauen” at Casey Kaplan, NY. “…As I have said, reasons come in like doughnuts and they lead the way. 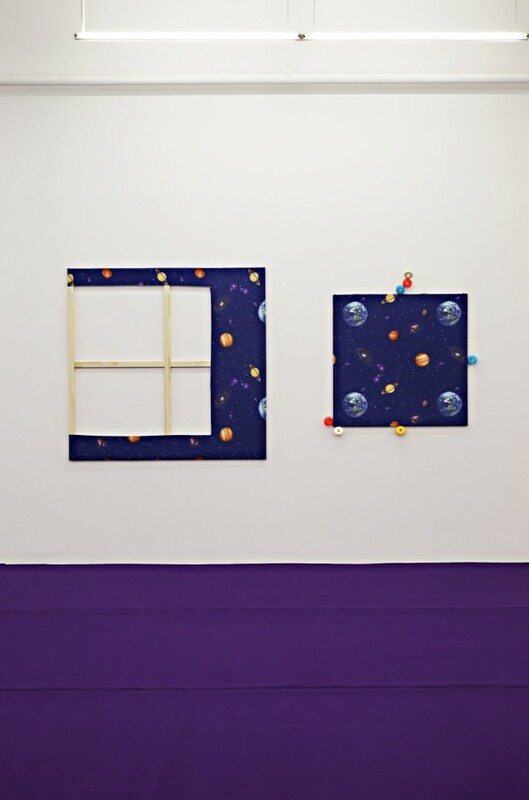 Once the doughnuts took place on the pictures, there needed to be a carpet to connect the paintings to a space and this space couldn’t be the gallery as it was. It had to have a layer of “icing” on the floor, just as the canvases had to have a layer of “icing”, which is the paint. The paint references the color scheme of the tape dispensers that surround them, which refers to the color and flavor of the icing on the doughnuts. 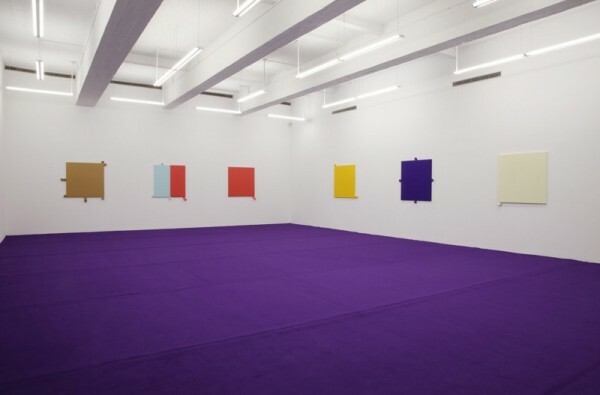 So the carpet had to have the color of one of the paintings, and there were only so many colors to choose from. Today, similar reasons that legitimize art are often to be found, whether it is: the size of a Manet in relation to the size of a monochrome painting, the insight that two complimentary colors on two paintings would mix into the grey tones you usually give to your other pictures (to stay in the discourse of younger monochromatic paintings), or the reasons one might have to reproduce the sandaled foot of the Statue of Liberty, or any of the many other reasons that can always be found to drive a little bit further down the road. The entry 'Henning Bohl' was posted on April 28th, 2012 at 10:40 am	and last modified on April 29th, 2012 at 12:41 am, and is filed under Uncategorized. You can follow any responses to this entry through the RSS 2.0 feed. Both comments and pings are currently closed.